CLIFF HOUSE BY MODSCAPE | muted. Modscape creates beautifully simplistic prefabricated homes. 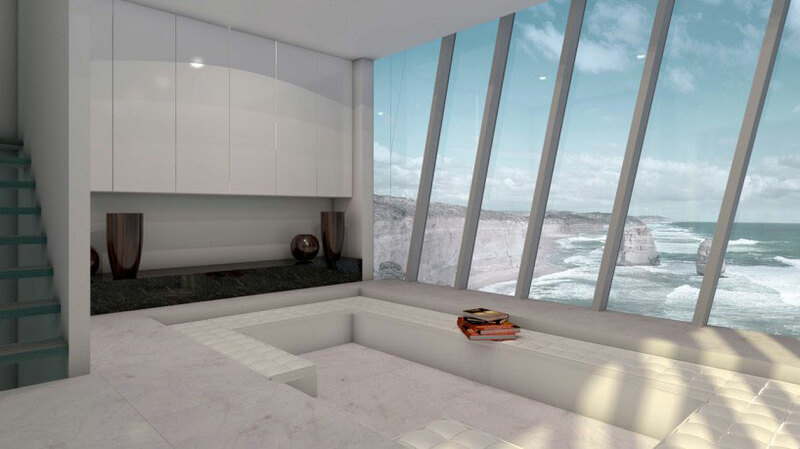 The Cliff House by Modscape ($TBA) is their latest concept and it’s absolutely breathtaking. The home was created as a vacation getaway and as a complete extension of the natural environment. It has five levels, where by the occupants would enter from the car port on the top level and work their way down each level. 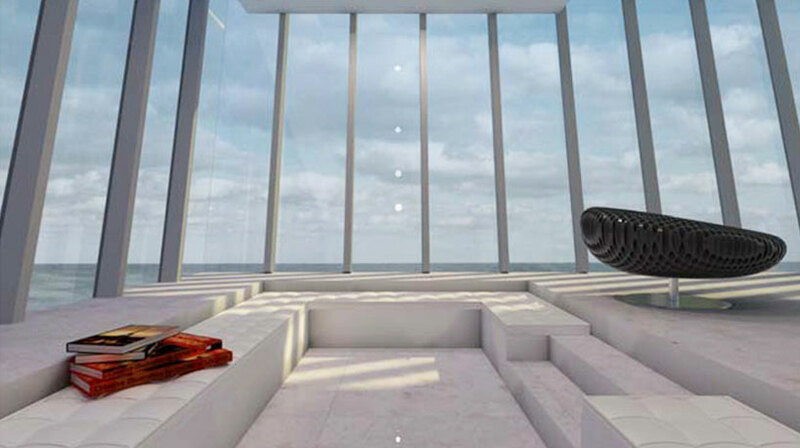 Top level 5 is the car port, level 4 is made up the main living area which includes the foyer, living room, dining room and kitchen, level 3 features two bedrooms and a bath, level 2 includes the master bed and bath, and the lowest level features the spa and barbecue areas. 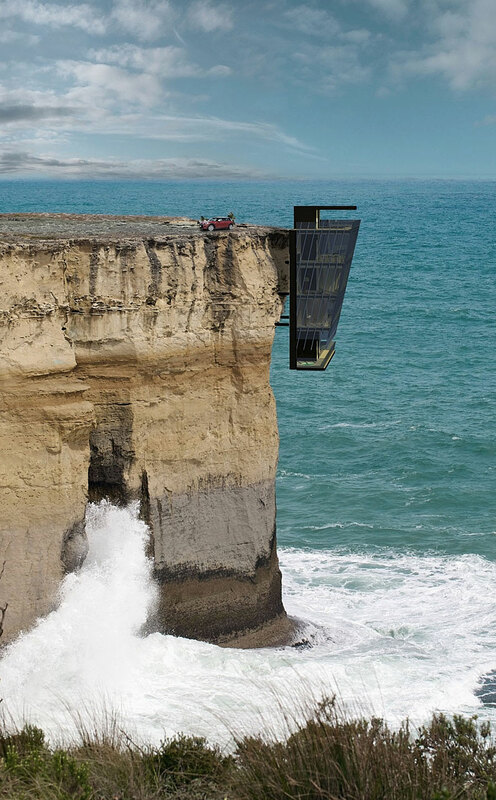 I just wonder what cliff side real estate is going for these days?